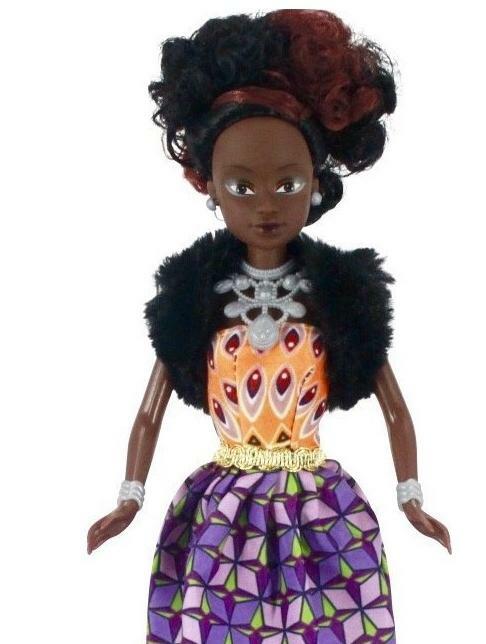 The “Queens of Africa” range of dolls highlight various African ethnicities, as well as a variety of African hairstyles (customers may opt for dolls rocking an afro, or alternatively one with braids or braid extensions), reports Forbes. Okoya’s mission is to spread a message which enforces young black girls their self-esteem, allowing them from an early age to have role models they can relate to. This summer, Okoya and his posse of dolls will travel across several cities in the United States, to meet and greet American clients, while further expanding the Queens of Africa footprint. ‘I got into the doll business by chance. At that time my daughter was young, and I realized she was going through an identity crisis,’ Taofick tells me when I reach out to the Lagos-based founder over the phone. He further adds, ‘She wished she was white, and I was trying to figure out where that came from. I used to always buy her white dolls, and it never got to me that is was relevant which color her dolls were. On top of that, we have DSTV in Nigeria where children watch the Disney programs, and all her favorite characters were white. I started to understand why she’d feel the way she did, ‘cause it was all that she’d been exposed to,’ the Queens of Africa dolls creator explains. The report goes on to say that even though the dolls’ body parts are manufactured in China, they are assembled in Nigeria. And here’s the good part. Taofick also empowers local communities of stay-at-home mothers, who make money off of braiding the dolls’ hair and creating outfits. This summer Taofick will tour across New York, Chicago, Los Angeles, Washington D.C. and Houston, throughout the months of June and July. In April he already made a first stop in Atlanta, to meet with wholesale buyers and customers, as part of the Coming to America tour. At present the dolls are already available for order to the American audience via Amazon, in addition to the Queens of Africa online store. On top of that, the dolls are sold by a Senegal-based retailer, as well as e-tailers based in France and Australia. Ghana, South Africa and Brazil, are next on his list. You can get the FULL story at Forbes. Buy/See the dolls at Amazon. I sure wish these dolls had been around when I was a child…but, better late than never – and that doesn’t mean I can’t still buy some, now!